Special Tours | Hallo Dresden! Thanks to their taste of fashion, collecting passion and aspiration after princely presentation of power the artistic prince electors of Saxony created from the 16th to 19th century an oriental treasure room. The so called “Turkish Chamber” presents on 750 m² about 600 objects such as costumes, showy weapons and exquisite oriental equestrian accoutrements, precious materials and Ottoman tents. All exhibits are connected to fascinating stories we will tell you on our guided tours. This new permanent exhibition situated in the Royal Palace utilizes the latest exhibition techniques and creates a special atmosphere, which turns your visit into an unique experience. 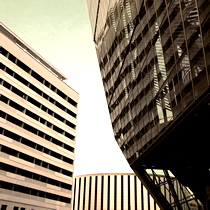 As one of the richest treasuries of Europe, the Green Vault enjoys worldwide reputation. Immerse yourself in the radiance and opulent magnificence of these exceptional works of art, which were collected by the Saxon rulers over a period of 500 years. In the New Green Vault one admires over 1.000 selected masterpieces of treasury art close-up in showcases made of antiglare glass, with perfect lighting that enables every detail to be appreciated. 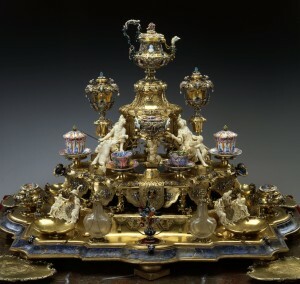 As well as the unique cabinet pieces created by the Dresden court jeweller Dinglinger, such as the Royal Household of the Grand Mogul and the Golden Coffee Service, there are fascinating precious objects made of gold, silver, enamel and gemstones, ivory, mother-of-pearl, coconuts and ostrich eggs. 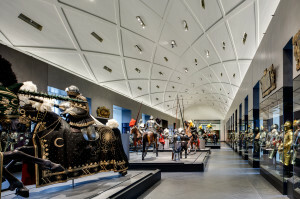 The Hall of the Giants of the Dresden Royal Palace is the venue for a variety of objects from one of the most important collections of ceremonial weapons, armour and costume in the world: the Dresden Armoury.On display are precious harnesses, saddles and weapons – exhibits from the time of chivalry of the 15th to 17th century. A staging that has no rival. Jousting of the 16th century comes to life, when on deceptively “real” wooden horses life-size figures of horsemen, with magnificent suits of armour, spears and ceremonial weapons are presented.Three of the main types of tournaments are depicted. They were used to prepare for war and became later a part of the ceremony and festivities at court. Next follow the largest collection of Anton Peffenhauser armours in the world and unique splendid suits of armour of the 17th century. Experience at first hand the lively world of the Semperoper. You will have the opportunity to examine the richly decorated interiors and reconstructed original designs. Learn the background to the brilliant acoustics of the beautifully decorated auditorium. Music-lovers will learn all there is to know of the exciting musical history surrounding the Semperoper. Listen to amusing and surprising anecdotes about the Semper Opera House. 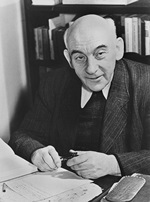 This city tour takes you to the places in Dresden, where Victor Klemperer lived, worked and experienced not only the Nazi period but also the communists. Learn what hopes he associated with the capital of Saxony, as he tried to create here a center of life and how he lost that during the Nazi period. This is a driving tour! Jews have been settling in Dresden as far back as the 13th century. Augustus the Strong used Jewish money to finance the Polish crown. In 1839/40 Gottfried Semper built the second synagogue in Dresden, which was destroyed during the Night of the Broken Glass of 1938. Witness now the new synagogue which was awarded a renowned architectural prize in 2002. Come along on an exploration into the Jewish past and present of Dresden. 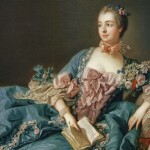 You will learn how people in the baroque period really lived between powder and perfume and intrigues and parties. You will also discover that Augustus the Strong did not have only “one” mistress and through the portraits of his mistresses we will show you that he too followed a certain “predatory-pattern”. It was not difficult to become a mistress. The challenge was to maintain this position. Discover the New Dresden. After the political change in 1989 there was a massive building boom. Especially in the fields of micro, nano and biotechnology remarkable examples of architecture were established, which are located away from the usual “tourist routes”. Fallow land in the city-centre was put forward as building land in order to prevent the outflow of home-builders to the surrounding areas. We will show you how this endeavour led to interesting architectural solutions. Dresden was considered one of the most beautiful cities in Europe until 1945. Through visits to its impressive buildings and through the opportunity to view plans and other graphical material on site, you will learn about the fascinating history of the reconstruction of the city in East Germany. A spectacular rally in Dresden, individually compiled for school classes or other groups of children of all ages. Participants will be equipped with a rally script and explore with the help of questions and explanations the desired topic. Skill, poetry, creativity and sense perception are required. At the same time, the teaching material is strengthened or new knowledge conveyed playfully. If not stated otherwise all visits are from the outside. All driving tours can be booked separately of number of persons or bus. All prices are inclusive of VAT. We are happy to tailor your tour to suit your personal wishes and needs. If you would like to take advantage of this service please get in touch to discuss your requirements and for a quote. We are always interested in new topics and are not afraid of new assignments so if you have a particular theme in mind, let us know and we can tailor-make a thematic tour to suit you.